Dr. Erica Brown is the author of twelve books on leadership, Bible and spirituality and is a regular columnist, scholar-in-residence and lecturer. Erica has received multiple awards and honors in the Jewish community. Synagogues don’t always consider future leadership until the last moment. This seminar will examine structures and mechanisms for identifying and mentoring future lay or professional leaders so that the goals and implementation of one leadership team can continue through the transition to another. 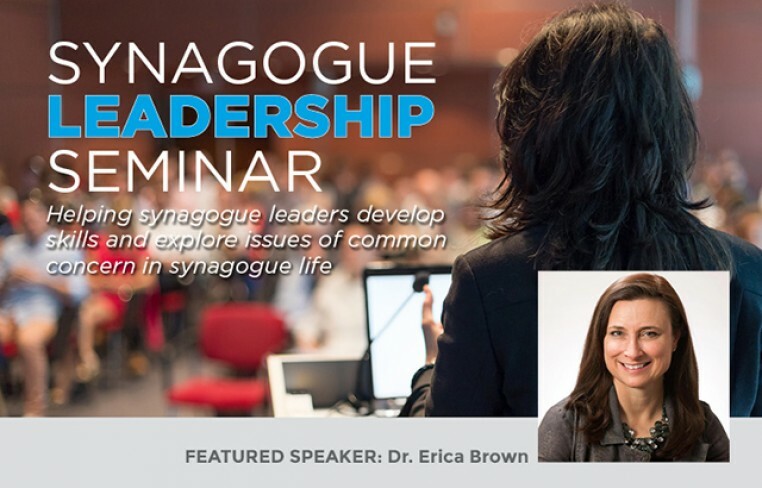 This leadership workshop will utilize Jewish sources, professional business literature, and interactive reflective questions. For more information contact Sarah Segal, Manager of Synagogue Initiatives, at ssegal@jfedgmw.org or (973) 929-2952. Jewish Federation of Greater MetroWest NJ is committed to partnering with synagogues to create vibrant Jewish life in our community.